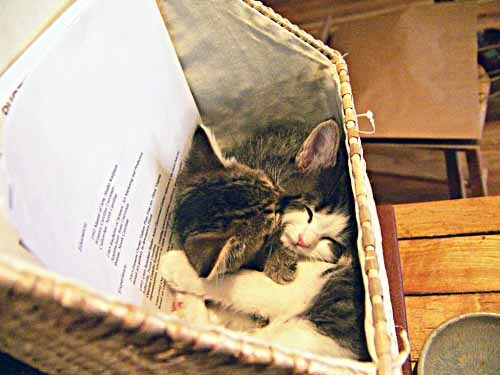 These two rescued kittens are sleeping in a basket on the counter of The Bell Gallery, in Floyd, VA, where manager Darcie Luster works when she isn’t saving animals. These two are part of a litter of six who have a chance at a new life because of Darcie. Unwanted animals in Floyd have a better chance at survival because of Darcie Luster and others like her. She fosters cats which means that she takes them in and cares for them, gets them their shots, gets them spayed and then finds them homes with appreciative owners. Others in the area provide foster homes for dogs and other animals. 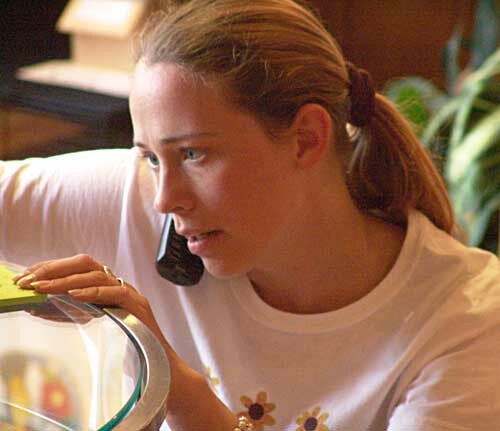 Darcie, who has a Master’s Degree in Biology, is the Spay-Neuter Coordinator for the Floyd County Humane Society which assists owners in placing animals they can no longer care for. The Floyd Humane Society has an informative web page with loads of pictures of animals available for adoption. Darcie tells me that this worthy organization has a continuing need for cat carriers and dog cages and dog and cat food. If you don’t have any of these to spare, but are willing to help animals, feel free to send in a donation of money. 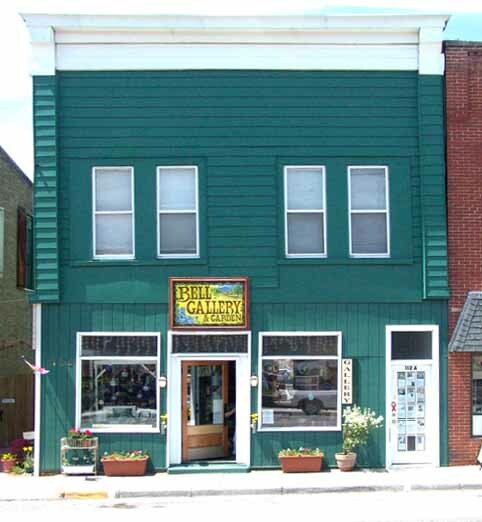 When you are in Floyd, make sure you stop by at The Bell Gallery on 112 North Locust Street, a few steps west of the traffic light in Floyd, VA. They have a tasteful selection of fine art and gifts in a wide range of prices. They also have a small collection of cats and kittens available for deserving owners. If you are in the market for a new pet, Darcie may be able to connect you up with the companion you have been looking for. This entry was posted in Seen around Floyd and tagged abandoned cats, Darcie Luster, Floyd, Humane Society, stray cats, unwanted animals. Bookmark the permalink.